Baby humpback whales spend effort and energy in repeated breaching, which turns out to be important training to escape killer whales. 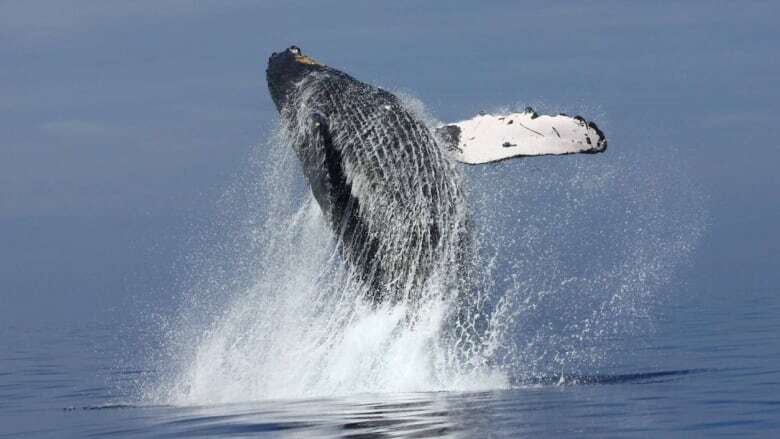 Infant humpback whales in their first months of life are unusually active, engaging in bouts of breaching, or flying out of the water, dozens of times in a row. This playful, but energetically expensive, activity must be a trial to their mothers, who have to supply all the energy for this activity in the form of more than two hundred litres of milk a day. Dr. Rachel Cartwright, a lecturer at California State University, Channel Islands, and the lead researcher with the Keiki Kohola whale conservation project on Maui, Hawaii, and her colleagues, have found out why baby humpbacks indulge in all this exercise. The strenuous activity drives production of myoglobin, an oxygen-carrying chemical in muscle, which enables longer breath-holding and dives, which, in turn, may help them survive killer whale attacks on their first migration from their birthing grounds.